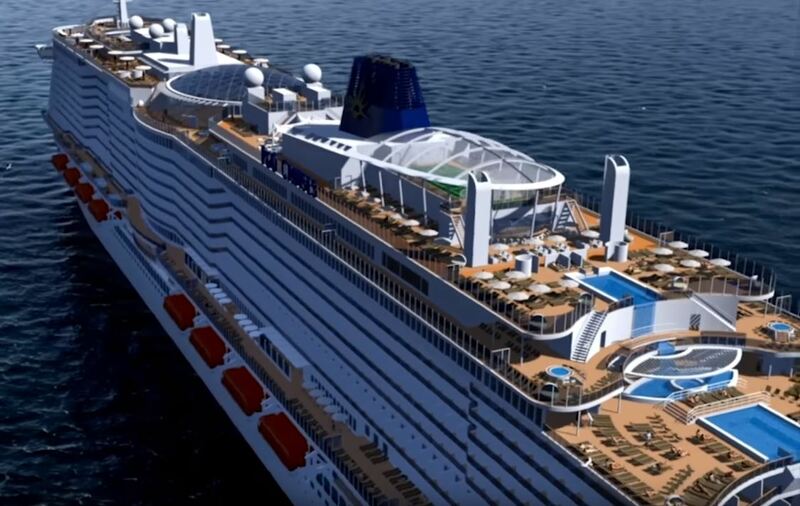 The largest ever cruise ship which is being built for P&O Cruises will be named as “Iona”. It is the first of two new class vessels ordered by parent company Carnival. The ship name was just recently revealed which comes after the recent steel cutting event at the shipyard. The UK cruise market is in for a treat with P&O Iona, a new class ship which will be the biggest ever for the British cruise line. The ship name was just recently revealed and the physical construction started this month. P&O Iona is being built at the Meyer Werft shipyard in Papenburg, Germany and it’s the first time P&O has had a ship constructed by them in 20 years. The steel cutting ceremony was held at the shipyard and marks the first of major construction milestones. The event was attended by P&O Cruises senior vice president, Paul Ludlow; Carnival UK president Josh Weinstein and managing director of Meyer Werft, Tim Meyer. There have been a few sketchy images released of P&O Iona over the past year but this is the first time we get to see the full 3D rendering view in video of her. The vessel will in fact be the same class as Aidanova which will be the very first of this newly designed fully powered Liquid LNG ship ordered by the Carnival Corporation. The name “Iona” was announced on May 24 after a competition which was run last year. The invited public got involved and the cruise line received more than 30,000 submissions for a recommended ship name. A panel of experts finally chose the best name “Iona” which comes from a stunning Scottish island. So let’s get down to some impressive statistics of the future P&O vessel and some features which have already been teased. Once complete in 2020 Iona will be a total of 180,000 making here the largest ever for the cruise line and based in the UK. The ship will have a guest capacity of 5,200 and powered by Liquefied Natural Gas (LNG). She will have over 15 locations to eat, 8 specialty restaurants, over 10 places to drink, 18 whirlpools, 3 outside pools, 1 indoor pool, 6 venues for breakfast and adult-only areas. There will be a new entertainment hub called SkyDome which features a pool and retractable stage. The venue can be used in all weather conditions and can host a range of special shows at night. There will also be a stunning 3-deck Atrium with glass walls and a grand staircase. Further onboard features will be announced by P&O during the ship’s construction in Germany. Cruise Hive will keep readers updated on this impressive new class P&O cruise ship named Iona. P&O Cruise gratuities to be increased in March, following the trend of other recent hikes by major cruise lines.